Manuel Valenzuela, a Marine who served in Vietnam in 1971 and 1972 and has been facing the possibility of deportation since 2009, is very happy his travels to raise awareness brought him to Iowa. “The people of Iowa came to me, shook my hand and expressed gratitude for my service,” Valenzuela told me by phone as he drove his message-wrapped recreational vehicle out of Iowa toward Chicago. And while visiting with Iowans was rewarding, Valenzuela is most thankful for an opportunity to speak directly with Democratic 2020 presidential candidate Sen. Elizabeth Warren. During a rally in Perry, Valenzuela asked if Warren would stop the deportation of veterans. He hopes Warren, and all 2020 contenders, will stop the deportations, bring home those already deported and protect the families of military veterans from deportation. “When I’m president of the United States, no veteran will ever be deported,” Warren told Valenzuela, a sentiment she later tweeted alongside video of the exchange. Only after leaving the rally did Valenzuela notice the date, March 29, was National Vietnam War Veterans Day. Immigration officials believe the brothers are Mexican nationals. The brothers contend they are U.S. citizens. The two were born in Mexico to a U.S. citizen, a mother who died the same day as Manuel’s initial immigration court appearance. They’ve lived in the United States for the majority of their lives. When the family legally returned to the United States from Palomas Numero Uno — a farming community just across the Rio Grande from Redford, Texas — Manuel was just 3 and Valente was 7. 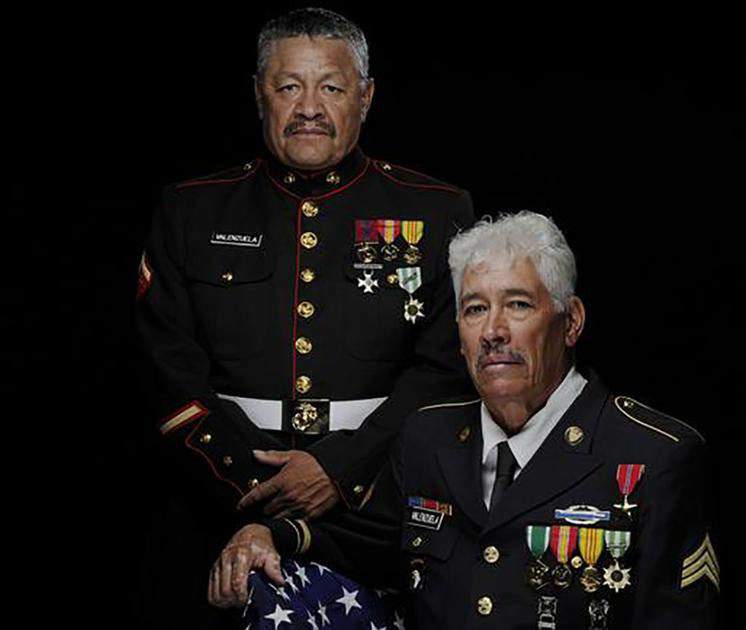 The brothers were assigned Social Security numbers, attended school, paid taxes and fought in a war. They obtained state-issued driver’s licenses and federal VA benefits. Although Valente, the oldest of 10 siblings, speaks Spanish, Manuel never learned it. “There was an unnoticed paperwork error when we came to live in the United States,” Valenzuela said, explaining that instead of being identified as U.S. citizens, the paperwork listed them as permanent residents. A reporter with the Colorado Springs Independent found evidence the men’s mother may have discovered and attempted to correct the error in 1965, but the issue wasn’t resolved and Manuel says he was unaware until 2005, when he was stopped for speeding. He was told his license wasn’t valid and, when he checked with the department of motor vehicles, learned Homeland Security had flagged his information. Two years later, after obtaining a lawyer, he learned the government expected him to have a valid permanent resident ID card. Two years more, and the immigration notice arrived in the mail. Manuel Valenzuela, who lives in Colorado, will continue to travel the country in his decorated RV. As he moves from place to place, participating in demonstrations to bring more attention to the plight of military veterans, he says he’ll campaign on behalf of Warren. “Veterans understand promises. We’ve made them and kept them, and we’ll be holding Warren to hers,” he said. If the Warren campaign asks, he says he’ll return to Iowa or go elsewhere on her behalf. Otherwise, he’ll go where his message can be heard or where he can make a difference for fellow veterans. Although Valenzuela told Warren more than 3,000 veterans have been deported, no one knows exactly how many have met that fate because the government doesn’t track such statistics. (Valenzuela’s estimate comes from the Congressional Hispanic Caucus.) But we do know enough have been deported to Mexico alone for the Department of Veterans Affairs to establish an exam clinic there. Ironically, many of these veterans will once again legally cross the border, but only following their death. Many will be buried here with military honors. The national view on exchanging citizenship for military service is long and has shifted through the years. Currently, noncitizens who serve can be granted citizenship if they apply for it. Some lawmakers and advocates believe this isn’t properly explained, and citizenship should be automatically granted upon honorable discharge. Those who haven’t applied and been granted citizenship — or, in the case of the Valenzuela brothers, didn’t realize they need apply — can be deported, most likely after conviction of a crime places them on the immigration radar. The brothers trace their hardship to decades old misdemeanors. On the phone, Valenzuela’s excitement is tempered by memories of his last missions in Vietnam, rescue and recovery. This column by Lynda Waddington originally published in The Gazette on April 7, 2019. Submitted photos.